ELKVILLE, Ill. - In advance of its 10th season, the Prospect League unveiled the logo for its newest way for fans to watch games and stay in touch with their favorite teams, Prospect League TV (PLTV). The collegiate wood-bat circuit also laid out viewership packages available through the service. In January, the Prospect League announced the creation of the subscription-based video service through Stretch Internet that will stream every league game in high definition, live and on-demand, beginning with the upcoming 2018 season. Fans can watch games on computers, tablets and smartphones, as well as on televisions via OTT apps on AppleTV, Amazon Fire TV and Android TV. The new logo will be used to promote the new service online, in print and at ballparks across the league. PROSPECT LEAGUE DAY PASS $8.99 All league games that originated on a specified date. PROSPECT LEAGUE 1st HALF PASS $79.99 All league games that originated on or between May 30 & July 2. PROSPECT LEAGUE 2nd HALF PASS $79.99 All league games that originated on or between July 3 & August 4. PROSPECT LEAGUE FULL-SEASON $149.99 All league games throughout the season, including playoffs. SINGLE TEAM FULL-SEASON $119.99 All games, home and road, for a selected team. All packages include live and on-demand viewing, as well as any additional content that the league and individual teams may produce. Working with all of our teams, the league office and Stretch to make PLTV happen for our tenth season and beyond continues to be exciting. Its a large step forward for the league in terms of connecting our fans to our teams and players through technology, said Jacob Wise, Prospect League media and technology director. 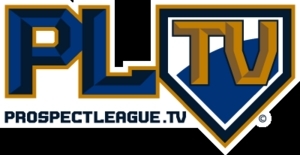 PLTV will certainly be something that elevates the profile of the Prospect League." More information about Prospect League TV, including the ability to sign up for 2018 packages, will be available on the leagues website, www.prospectleague.com in the coming weeks. Once launched, the service will also be able to be accessed by visiting www.prospectleague.tv . The Prospect League, an elite collegiate wood-bat summer baseball league, provides college players with the opportunity to compete at a high-level of competition in a minor-league setting. The Leagues members provide their communities with quality baseball and affordable, family-friendly entertainment. The Prospect League was founded in 2009 after merging with the Central Illinois Collegiate League. The Prospect League will have 11 teams competing in a six-state region: Indiana, Illinois, Missouri, Ohio, Pennsylvania, and West Virginia with expansion already announced for 2019. For more information, please visit us on the digital home of the Prospect League: http://www.prospectleague.com/ .